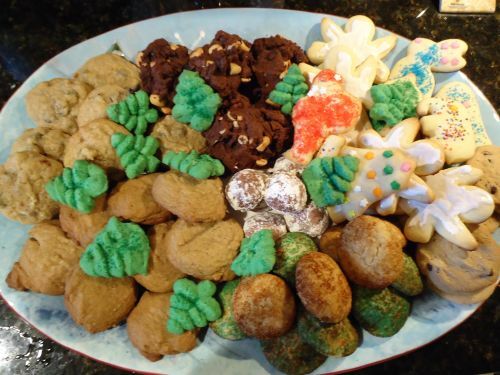 One of the very first things I learned how to do in the kitchen was to bake Christmas cookies. 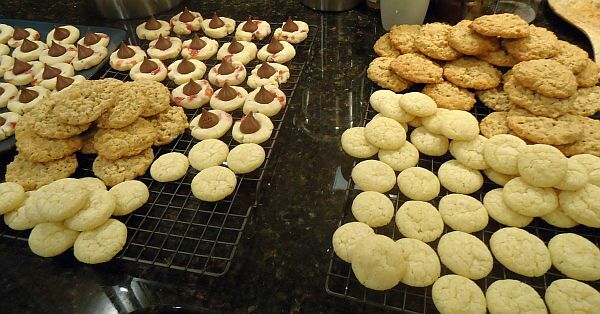 My mom and I would put on matching aprons, and I would help her measure out the ingredients, roll the cookies into balls, press them into cookie molds, and decorate them. It was an annual tradition to flip through the old gas and electric company cookie books from the 60s and even earlier to decide which cookie recipes to make this year. 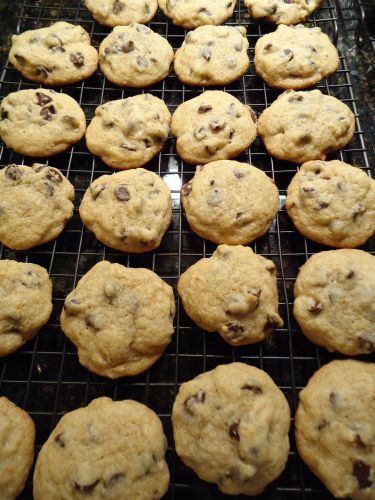 I always had a tendency, though, to pick out the unusual or “fussy” cookie recipes and so I often got vetoed in favor of the traditional chocolate chip, snickerdoodles, etc. 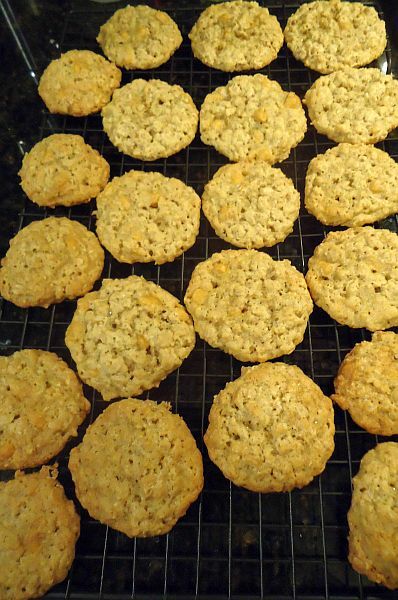 This year, though, armed with a functional kitchen of my own, two cookie sheets, two cooling racks, an assortment of mixing bowls and an antique pastry blender, I decided to search the internet for some brand new cookie recipes to experiment with. When we found Aarti’s Garam Masala-Chocolate Gingerbread cookies we were intrigued. My fiance, who loves Indian food, really wanted to make a garam masala cookie, but since I’m not a big fan of gingerbread, we googled around until we found these Indian spice cookies. 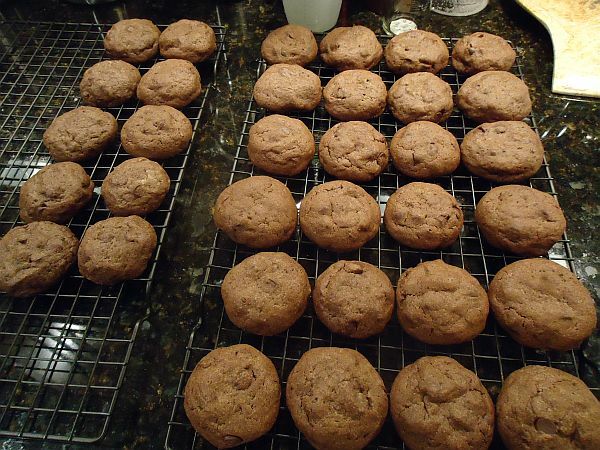 They don’t look like much, but they’re soft and have a delightful spiced aftertaste. Definitely a recipe to repeat next year! Then I headed over to In Jennie’s Kitchen to see what kinds of cookie recipes she had and did I ever find some good ones! 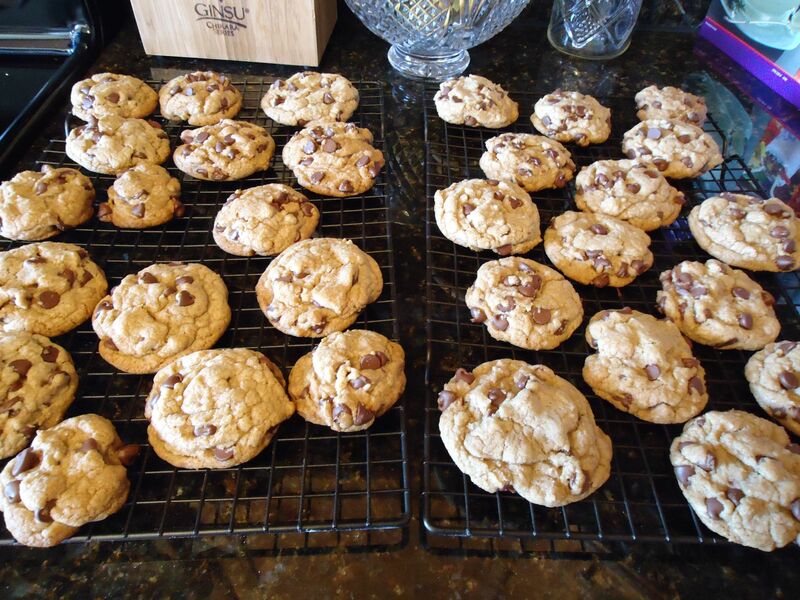 I started off with these Chipotle Orange Chocolate Chip Cookies which turned out to be a great favorite everywhere I brought them. If you’re making them, do make sure you use actual chipotle powder though. I couldn’t find any, and thought that it would work to buy dried chipotles and just grind them up. But dried chipotles have the consistency of sun-dried tomatoes–they don’t willingly turn into powder! Not even with the chopping attachment on my immersion blender (don’t have a food processor) or the mortar and pestle! I did finally get enough sufficiently small pieces to (almost) comprise the half teaspoon called for by the recipe, but in the end you couldn’t really taste the chipotle in the cookies because it just wasn’t evenly distributed through the batter. But they were still good! 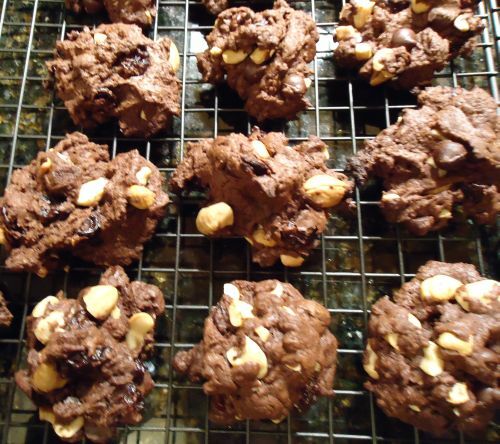 Then I found these Deep Chocolate Cherry Cashew Cookies. The dough looks like brownie batter. And they have dried cherries in them. 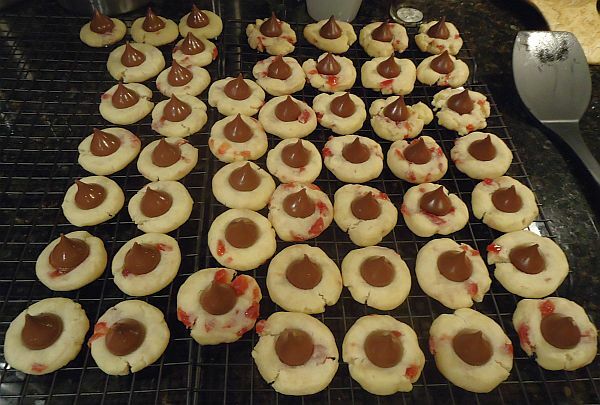 You should make these cookies. I also made sugar cookies–nothing fancy about them, but I’m pretty sure that cut-out, decorated sugar cookies are the very definition of a fussy cookie. But they are good! 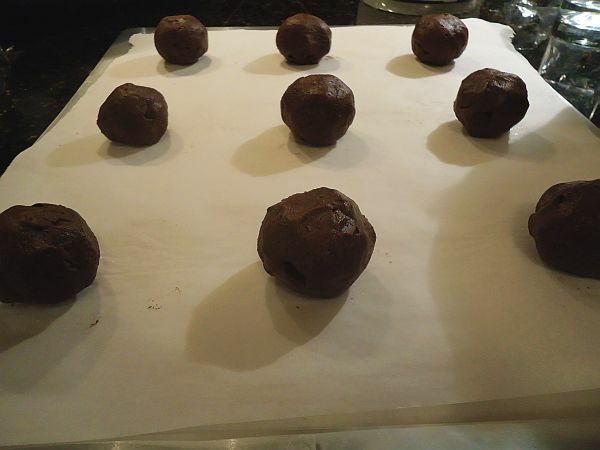 I just flavored mine with almond extract, but if you wanted to fancy them up you could add in different flavors of extract, orange zest, or other spices! I also frosted a few–I basically made a variation on one of the many cookie icing recipes out there using some homemade chocolate mint syrup that I had in the fridge from my mom. But I think I need to work on my cookie icing recipe…it was way too runny. And then we come to the ultimate cookie. The combination of all of my most favorite dessert flavors (almond paste, cream cheese frosting, and chocolate!). My own version of chokladbiskvier. 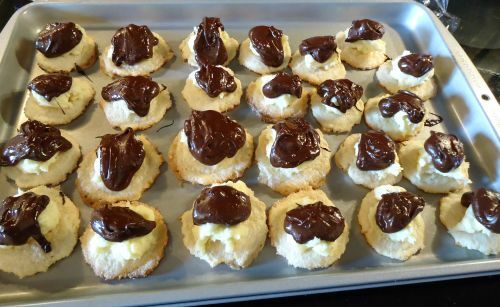 Now I had seen almond macaroon recipes many times, including in some of those old gas company cookbooks, but until I stumbled across this newspaper recipe contest winning recipe it had never occurred to me that a simple almond macaroon could become oh so much more! 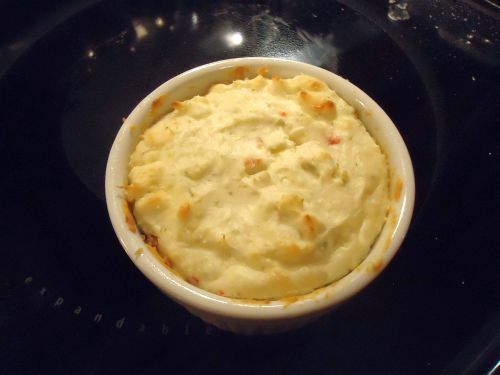 Originally I had intended to make the recipe as it appeared in the article. But, as you see, the buttercream filling calls for pasteurized egg yolks. And I could not for the life of me find pasteurized egg yolks. Or pasteurized whole eggs. I did actually find pasteurized egg whites, but that didn’t do me any good. I thought about pasteurizing my own eggs, but lacking a candy thermometer, it seemed like a recipe for disaster, and plus I wasn’t sure how the extra liquid you need to add to the yolks to pasteurize them would affect the buttercream recipe. And while I was fairly certain that my eggs were not contaminated with salmonella, having once *had* salmonella, I was just not willing to take the risk of using them raw. And then I realized–I’m not actually that huge of a fan of buttercream anyways…why not substitute my favorite frosting instead? But then that created a whole new series of questions–would it adhere to the macaroons? Would I be able to dip them in the melted chocolate without it falling off? And what kind of proportions would I need? 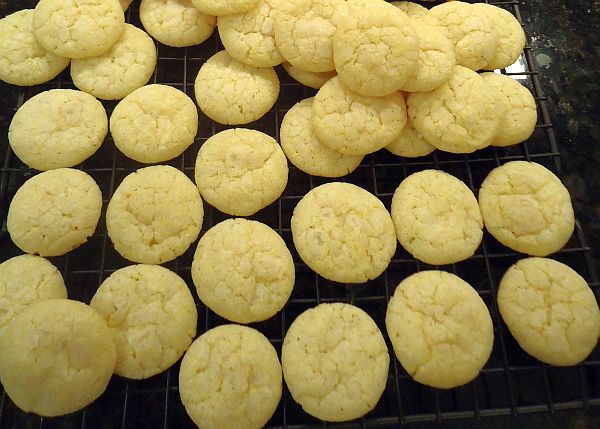 I ended up using the almond macaroon part of the original recipe (it’s the same as pretty much every other almond macaroon recipe–almond paste and egg whites!) 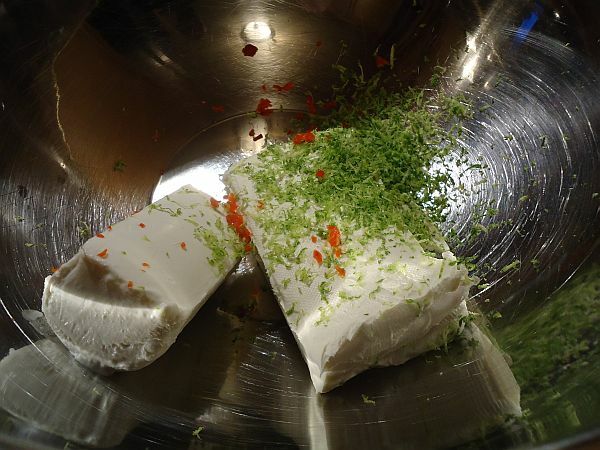 and then I made a half batch of this cream cheese frosting recipe from all recipes. 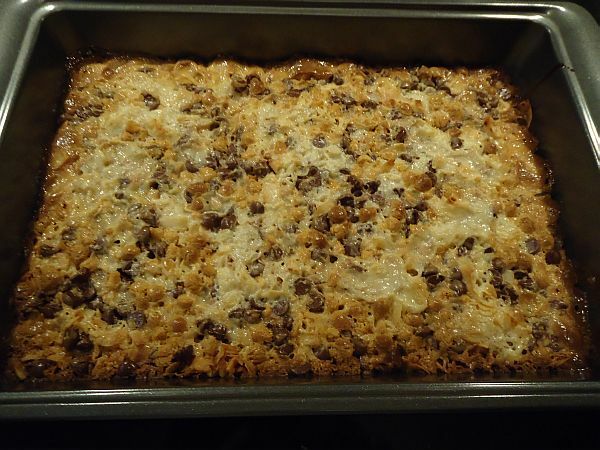 Instead of dipping the cookies upside down into the chocolate, I just spooned it over the top. 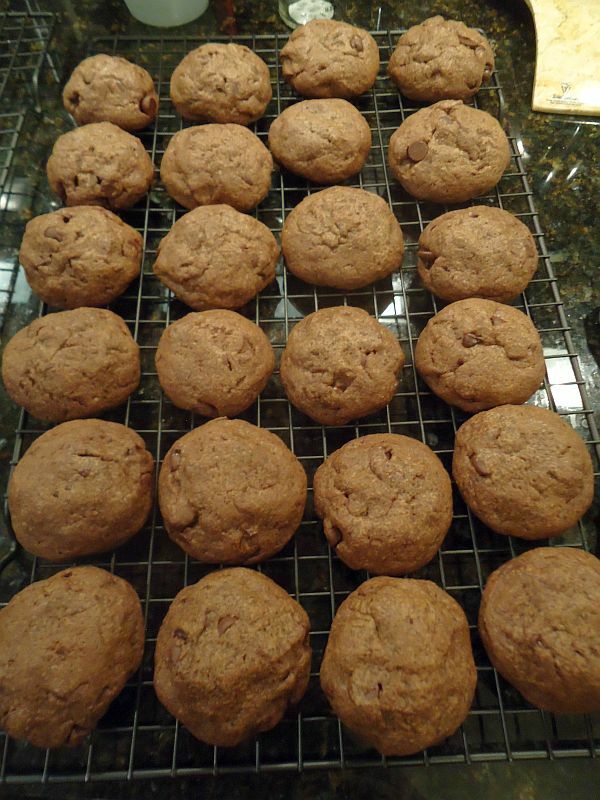 In retrospect I didn’t need all of the chocolate called for in the original recipe, and actually I could have just drizzled the chocolate to make the cookies prettier (and easier to eat), but they definitely tasted good! 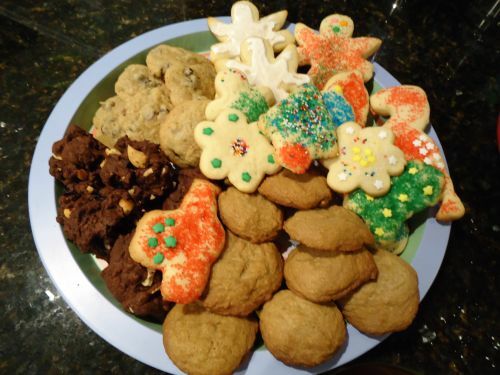 So if you’re looking to branch out and make some delicious and different cookies next year, give some of these recipes a try! I promise they’re all tasty! And if you don’t have a stand mixer or even a hand mixer? Don’t worry! All of the above cookies were made completely by hand using my trusty, wooden-handled antique pastry blender that I inherited from my grandma, a cheap yet sturdy whisk, and a wooden spoon. All that’s required is a little muscle and a little patience.